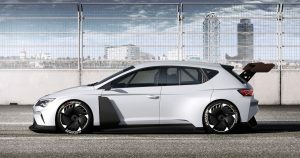 March 6, 2018The CUPRA e-Racer, a 100% electric racing touring car, has been premiered at the Geneva Motor Show. The event is being used to launch the new CUPRA brand. 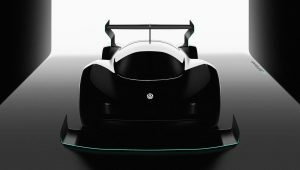 October 19, 2017Volkswagen has announced that it is developing an all-wheel drive, all-electric race car for the Pikes Peak International Hill Climb in Colorado, USA on 24 June 2018. 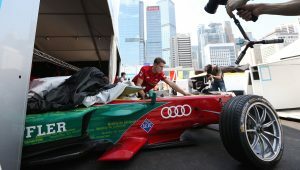 September 27, 2017Formula E is becoming even more interesting, as manufacturers are allowed to develop their own powertrains, with one of the first outcomes being the Audi e-tron FE04, the Group’s first ever all-electric racing car. 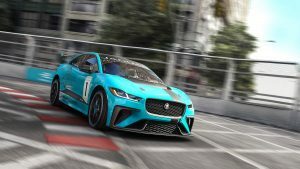 September 12, 2017After becoming the first premium manufacturer to enter Formula E in 2016, Jaguar has created the world’s first production battery electric vehicle race series. 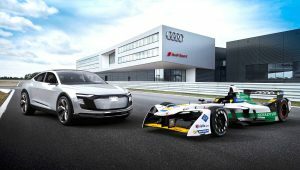 October 27, 2016In a significant move for the electric car industry, Audi is taking up a factory-backed commitment in the all-electric Formula E racing series, and terminating its FIA WEC commitment, including the 24 Hours of Le Mans, at the end of the 2016 season. 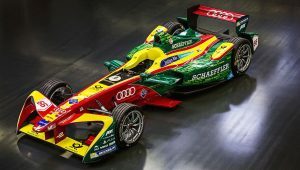 September 5, 2016Audi is to intensify its commitment in Formula E, the world’s first racing series for fully electric race cars. It is planned to incorporate Formula E into a factory-backed motorsport programme as of the 2017/2018 season. 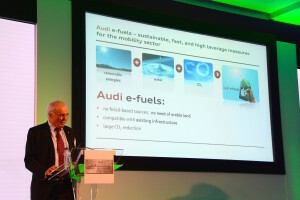 January 17, 2016The Motorsport Industry Association’s (MIA) Energy Efficient Motorsport Conference 2016 focused on one main issue: what will the ‘Grid of the Future’ look like? A number of industry experts were on hand to give their views on this issue during the day. June 28, 2015This weekend the final race of the first ever season of FIA Formula E took place in Battersea Park in London, with ten teams, and drivers including Nelson Piquet Junior, Bruno Senna (nephew of Ayrton) and Nicolas Prost (son of Alain). 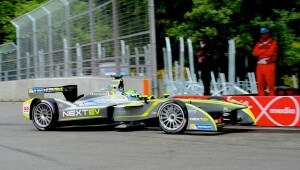 The switch to Electric Cars – Formula E inspiration? 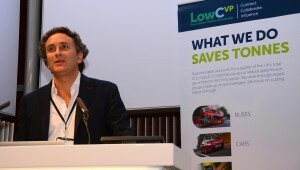 June 25, 2015On the eve of the first ever Formula E race in London, the focus of the LowCVP Conference 2015 was whether the electric race series could get motorists sufficiently excited to buy electric cars – and FIA Formula E’s Chief Executive, Alejandro Agag, was on hand to provide his view. 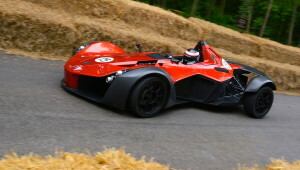 June 16, 2015Based on its name, it’s fair to assume that the Cholmondeley Pageant of Power is all about Power. However once again this year, the cars that set the fastest times in the Supercars and Track Day Cars Class were the most efficient cars, not the most powerful.